Look how cute and small this is! I had taken this with me on my travels recently to properly trial this and it was the perfect travel companion to have on board my long haul flight. It doesn’t take up any room in your bag. I can just throw it in my bag, then panic thinking whether I’ve packed it if I can’t find it when I need to use. It happens all the time with anything small! FOREO Luna Play is made of silicone and the non abrasive bristles are a lot more gentler to your skin as compared to the traditional nylon bristles with other facial cleansers. No matter how much pressure is applied, this never scratches the skin and is still gentle. It is suitable for every skin type and may be a god send for those who have sensitive skin. This nonporous silicone is quick drying and there’s no bacteria or grime built up. A minute is all you need. I was quite surprised at how powerful this little device is. This sonic cleansing brush left my skin feeling clean with its 8,000 T-Sonic pulsations during that one minute. I do wish there was something to notify you when you’ve reached that one minute mark, like a different vibrating pulse pattern or something. I sound needy! But the timer on my phone will have to do. It deep cleanses, exfoliates and helps the rest of my skin care products to sink into my skin nicely. I may be touching my face right now whilst I’m writing this review. It’s so soft and is looking good if I say so myself! Make up goes on smoother too. I haven’t experienced any breakouts whilst using this which is always a positive for me. It is £29 but unfortunately it’s not rechargeable. It lasts up to 100 uses and if you use it twice a day, it will last you up to six weeks. If you are curious as to whether any of the FOREO products would be suitable for you, I would suggest purchasing this as a trial first. It comes in pastel and vibrant shades. I’m going to save the rest of it’s uses for when I’m on the go. I haven’t tried the original counterparts but I’m already looking into them now. The question is, which one and what colour?! Have you tried any FOREO products? This is so small and cute. Great to take travelling with you. I'd definitely be interested in trying this – shame about the recharging issue, but 100 uses is still pretty decent! I wouldn't have thought that this was a cleanser. It looks very pretty! Shame it only lasts for 100 uses and you can;t charge it. This is definitley different! Its a shame its not rechargable!! I'd prefer something that would! I've seen this mentioned quite a bit recently it looks like such a handy product. I've never heard of this before or used one but it sounds like a good way to cleanse. 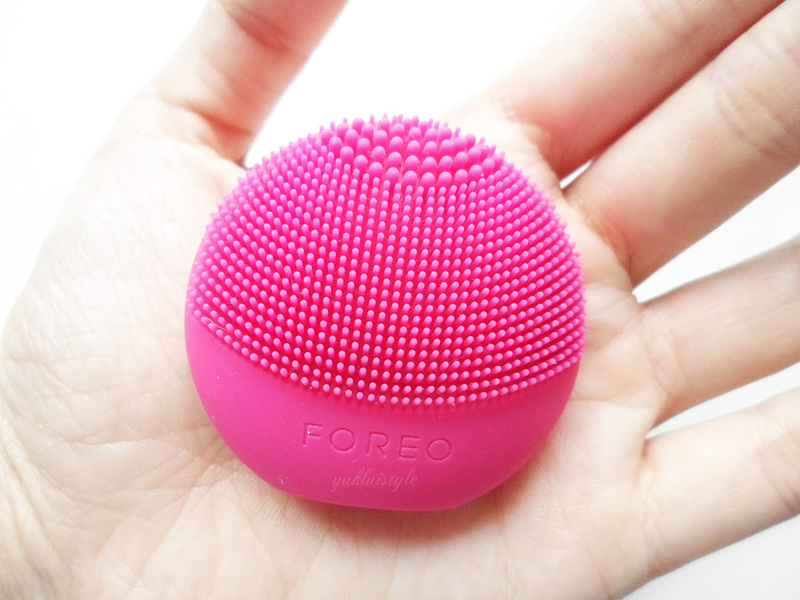 I LOVE Foreo! I have the original Luna and the Luna Mini! They are amazing! I have heard a lot about this product. Would love to try it. I've wanted to try this product out for a while, I'm not 100% sure if my skin needs it – but its such a cool gadget! It's so dinky! 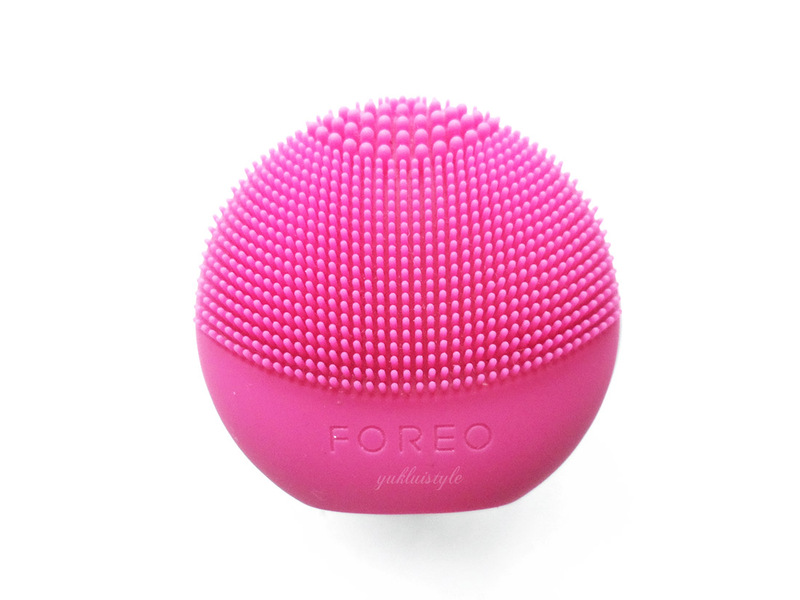 We're never heard of FOREO but will definitely be checking them out! I've heard about these so much in the last year. I keep forgetting to get one to try, think I will now! This really does look perfect for taking travelling with you! What a great product, and amazing for travelling with. 100 uses sounds pretty good to me for the price!